The growth of our Houston Hip Hop Collections continues with the recent publication of the Pen & Pixel Graphics, Inc. Records finding aid. Academics and “ballers” alike have heard the term and street cred is unnecessary to catch its meaning. It is what John Nova Lomax of the Houston Press described as a “false onomatopoeia… the sound a jewel or precious metal would make if it could be heard.” In 1992, as the twentieth century waned and the twenty-first century threatened to render the concept of “album art” obsolete, Shawn and Aaron Brauch founded Pen & Pixel Graphics, Inc. and went about helping to define the visual imagery that would become associated with so many hip hop artists from the Dirty South and beyond. 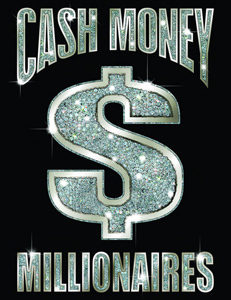 Labels like Rap-A-Lot, No Limit, and Cash Money Records came to rely on the Brauch brothers to create visually dense, hyper-stylized images of that “false onomatopoeia,” the monetary excess and conspicuous consumption contrasted against a reality of poverty, struggle, and reclamation. This imagery became the face of a new, emerging sound in hip hop. Given the pervasive influence of this visual style on an entire era of hip hop history, we are very excited to have this detailed finding aid now available to assist scholars in their research. 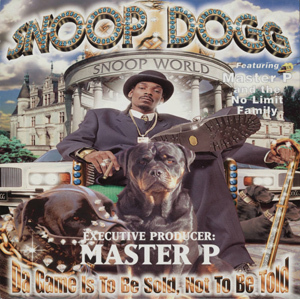 The Pen & Pixel Graphics, Inc. Records contain digital files, posters, t-shirts, and other promotional material for artists like Snoop Dogg, Geto Boys, DJ Screw, and others. Give the finding aid a look, indulge in the sampling recently published in our Digital Library, investigate some of our other collections, and come see us when you’re ready to take a closer look at some visual hip hop history.